Christine Cullen has been practicing as a nurse since 2011. She graduated from Salish Kootenai College with her Associate of Science in Nursing (ASN) in 2011 and then with her BSN in 2013. After graduating with her ASN, she has worked as a Registered Nurse (RN) at St. Luke Hospital, Ronan, MT, Partners in Home Care, and Providence St. Joseph Hospital in Polson, MT. Christine has been practicing as an EMT for 12 years with Polson/Ronan Emergency services and is education coordinator for the company. Christine graduated in July 2017 with her Masters of Nursing Education from Excelsior College. She is nationally certified as a Medical Surgical Nurse through the American Nurses Credentialing Center (ANCC). 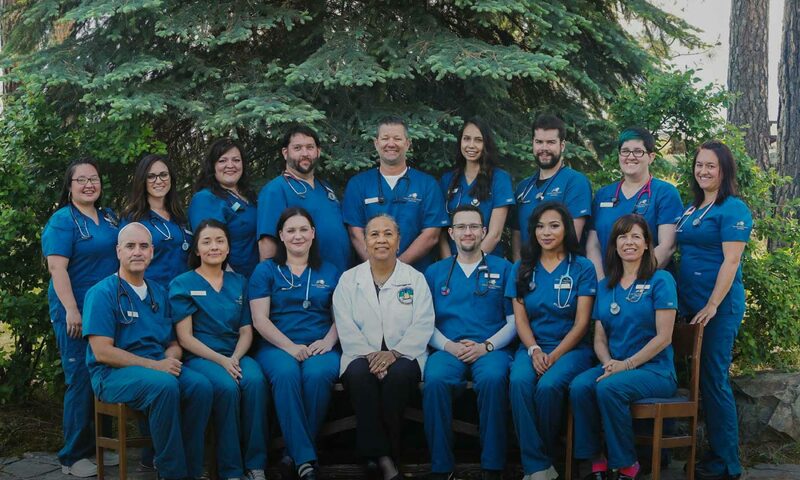 She has worked as faculty in the Department of Nursing at Salish Kootenai College since 2013. She currently teaches Mental Health and Medical Surgical nursing in the associate degree program as well as serving as the Dedicated Education Unit (DEU) and clinical coordinator. Christine is currently working towards her doctorate in nursing education with Walden University. Christine enjoys spending time with her husband, their six children, six grandbabies and three dogs. In her free moments, she enjoys, camping, crocheting, and anything that involves spending time with her family.